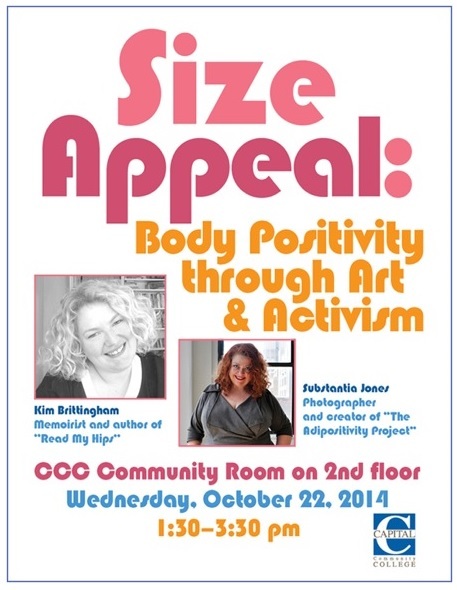 I’m honored as heck to be a part of Size Appeal: Body Positivity Through Art & Activism with Substantia Jones, photographer and creator of The Adipositivity Project. The event takes place in Hartford, CT on Wednesday, October 22nd. You can read more about it here.